After graduating from Pan American University in 1978, Dan Martinez lost track of his alma mater’s athletics program. Only about 10 or 12 years ago, he said, when he joined a Houston-area alumni chapter, did he start to pay any mind to what is now the UTRGV athletics department. In time, he and the group started donating and holding fundraisers to provide scholarships for UTPA students from the Houston area. Then, Martinez had the chance to meet athletics director Chris King, who visited the alumni chapter not long after his hiring in October 2009. Martinez and the alumni chapter ramped up their fundraising efforts, with King saying they’ve donated or helped raise more than $200,000 during his tenure. On Tuesday, the university announced that Martinez and his wife, Terry, had made official the largest donation the program has ever received: a future estate gift totaling $1 million. Dan said he’s been planning that level of contribution for about three or four years. The estate gift will go to UTRGV upon Dan’s passing. The $1 million figure marks by far the highest contribution that has ever been pledged to the UTRGV athletics program, surpassing Val LaMantia Peisen’s $275,000 leadership gift to establish the William D. Peisen Endowed Scholarship for Intercollegiate Soccer, which was announced on Feb. 6, 2013. 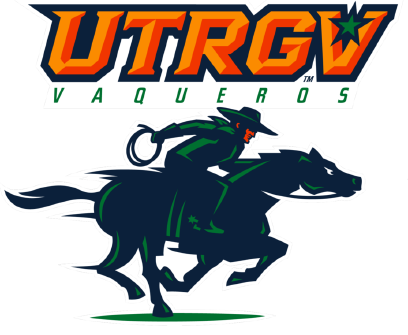 UTRGV athletics had a budget of slightly more than $10 million for the 2016 fiscal year. Dan and Terry Martinez had the opportunity to designate how they would like the money spent but chose to leave it unrestricted, up to the judgment of the athletics administration. Dan is a San Benito native who spent two years at Texas Southmost College before earning a bachelor’s of Business Administration in Accounting at Pan American. He went on to create Dan Martinez & Associates LLC, a group of state tax specialists based in Sugar Land that has been in business for 25 years. Terry, who went to Pan American University for one year after growing up in Harlingen, is retired after 30 years as an educator. Dan Martinez said he tries to get back to the Valley about four times per year, and he and the alumni association try to turn out to support any UTRGV athletics team that visits the Houston area. Dan and Terry Martinez were among the founding members of the Champions Club, part of UTRGV athletics’ V Club, which provides annual support directly to UTRGV athletics with a minimum annual donation of $5,000. “When I started getting involved more in going down there and all of that, I wanted to see the kids have everything that everybody else has,” Dan Martinez said.